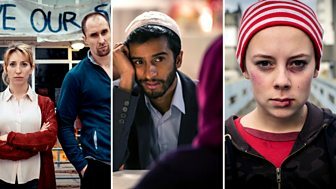 Watch as one of BBC iPlayer's first Original Drama Shorts, My Jihad, returns as a series. Anjli and Hamza describe their characters and the story of My Jihad. Daisy and Andrew explain the never ending game of tag between teachers. Alice Sykes answers questions on the challenges of playing Flea. Flea writer Cat Jones describes how she got involved with the drama shorts. Read the Original Drama Shorts scripts from the BBC TV Drama archive.